What a neat house warming gift we wrapped up this week! 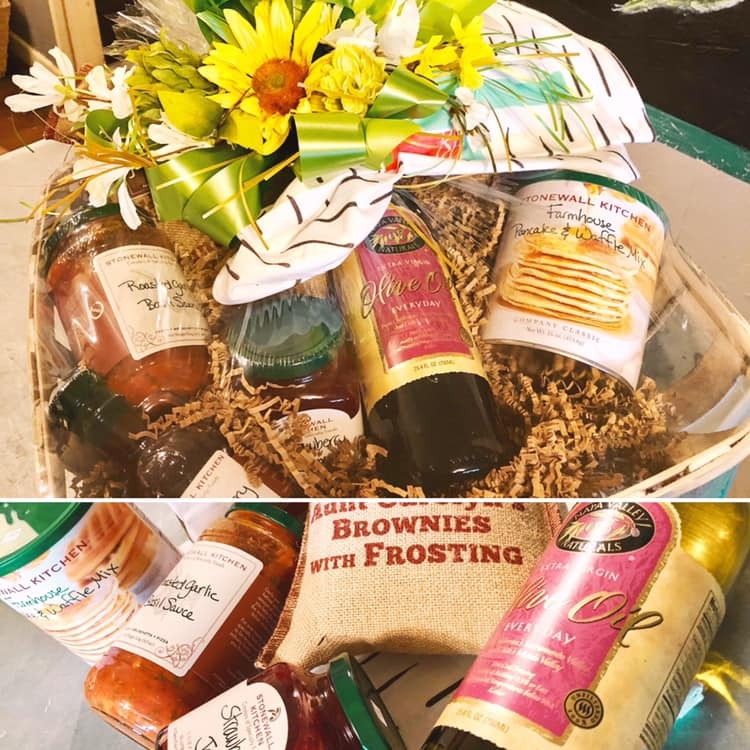 A tobacco basket filled with farmhouse pancake mix, raspberry syrup, strawberry jam, fusilli pasta, roasted garlic basil sauce, our favorite olive oil, and the best brownie mix! Tied with a cute bright tea towel! Welcome home!